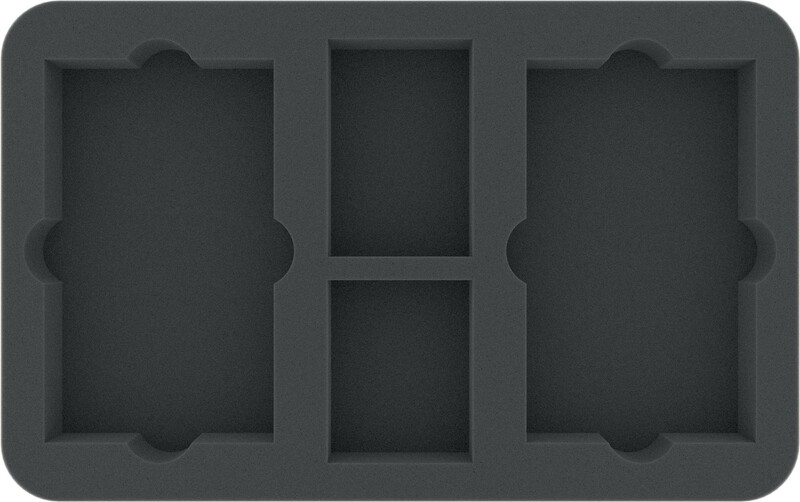 Especially for the Star Wars Armada Wave II foam tray. There is enough space to store two big Bases from the Home One and/ or the Imperial-Class Star Destroyer. In addition, there is enough space for accessories. 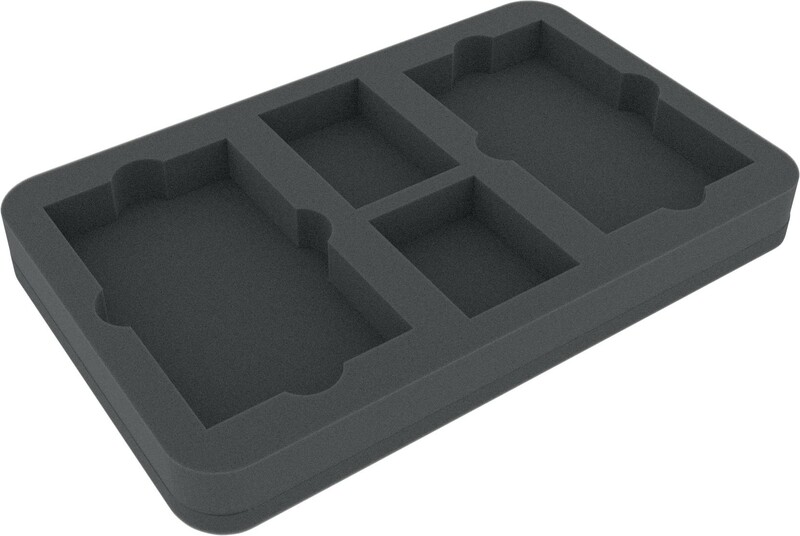 The 30 mm thickness for this foam tray is the result from 10 mm foam base and foam tray with 20 mm effective height.